Web programmer Saeed Malekpour could be executed at any time in Iran. His death sentence was confirmed by the Supreme Court on 17 January 2012 and a court official has indicated that his death sentence may have now been sent for implementation. Saeed Malekpour, a resident of Canada and Iranian national, aged 36, was again sentenced to death on 19 October 2011 by Branch 28 of the Revolutionary Court, and it was confirmed by Branch 32 of the Supreme Court on 17 January 2012. On 14 February 2012, one of Saeed Malekpour’s lawyers visited both courts to ask about his case, but learned that the file was being held at neither court. Comments from a court official suggested that this is because Saeed Malekpour’s file has been sent to the Office of Implementation of Sentences. Saeed Malekpour was sentenced to death for “insulting and desecrating Islam” after a programme he had developed for uploading photos online had been used to post pornographic images without his knowledge. Branch 28 of the Revolutionary Court sentenced him to death in October 2010 following a trial that reportedly only lasted 15 minutes. After a June 2011 announcement that the Supreme Court had returned the case for further review, Branch 28 of the Revolutionary Court imposed again the death sentence as well as prison sentence of seven and a-half years. 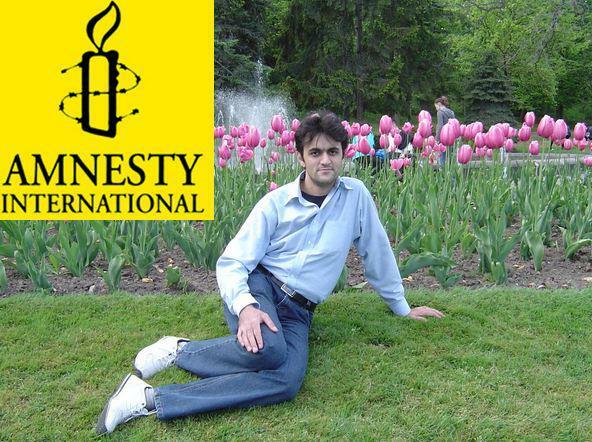 Amnesty International understands that although he has legal representation now, for much of his detention Saeed Malekpour has had no access to legal counsel. Remind Iranian authorities that under international law, the death penalty can only be carried out for “the most serious crimes”, which must be “intentional crimes with lethal or other extremely grave consequences”. 4. Also send copies to diplomatic representatives accredited to your country.